Tales from a real estate agent. …well sort of! It’s not a baby, but it sure feels like one. We are expecting to have a newly built house in December 2016! For our entire marriage, we have had a bad habit of buying ugly houses, fixing them up, and then selling them. However, THIS time will be different, this time we are letting someone else do the work. We have always wanted to build it was just a matter of when. As a real estate professional, I have helped a number of families build brand new homes and finish spec homes with quite a few different builders. New construction is definitely something I love to do, BUT for the first time, I will be on the other end of the table. I gotta say, I have a whole new respect for my new build buyers. The process is a little more daunting than your average home purchase. We were up for the challenge, with building comes so many decisions though. I have never been so thankful that Mr. Wonderful and I are distinctly decisive people. How did we choose THIS plan? Why THIS Builder? Where are we going to live in the meantime? I will answer all of those through this entire process. So if you are also contemplating a new build, keep reading…if you want to just check out and follow my home inspirations on Pinterest click here. The summer market is in full swing and many families are eager to get situated in new homes before the new school year starts. In my area, 83% of homes are selling in 90 days or less and closed sales for my brokerage are up 60%. It is no wonder that people are asking themselves if their current home still meets their needs or if the grass is indeed greener down the street. One common concern, and a valid question, among sellers is how much will selling my home cost me? What the real questions are how much will I make at closing, and how can I get the most money, right? TRUE or FALSE If we re-do the kitchen and perhaps the master bathroom, my house will sell faster and for more money. FALSE…Big remodel projects for the purpose of a sale might help sell your house faster, however you will not be able to recoup all of your expenses for the improvements to make financial sense. A better plan would be a coat of neutral paint where necessary, a thorough cleaning, and freshen up your curb appeal. It really is amazing at what a mowed yard and some fresh mulch can do. TRUE of FALSE I will make more money by not paying for a Realtor. FALSE… If you saw a gorgeous Tiffany watch at a garage sale still in the box, even with the tag still attached, would you still pay full price? Probably not, right? You would talk with the seller to strike a deal, and would probably walk away with a pretty sweet deal, wouldn’t you? For Sale By Owner homes are exactly the same. 89% of buyers will purchase their new home with the help of a real estate agent. They work for the best interest of the buyer, not for you. Real Estate agents, on average, will net a seller $41,000 more than you would have selling your house on your own. A good agent will prequalify buyers, negotiate on your behalf, (from contracts, to protecting your asking price, to saving you from spending thousands in unnecessary repairs). In some cases your agent can provide lenders with valuable information to make sure your appraisal comes in at the right price. It is up to you to protect your most expensive asset, do the right thing and leave it to the pros. TRUE or FALSE Buyers will make me pay for everything. FALSE…Many sellers fear buyers will throw them a low ball offer and ask for the moon on top. The fact is almost all of the terms of a real estate contract are negotiable. Once you receive the offer it is your turn to play offense. It is entirely acceptable for buyers to ask for some closing costs, a home warranty, a longer inspection period, even choose the closing date. However, just because they ask doesn’t mean they will receive. A good deal is a win/win for everyone. Giving them a few extra days to complete inspections and pushing up the closing date is just one way to save you money by keeping an extra month of mortgage payments and taxes in your pocket. The bottom line is your agent will work to make sure you are comfortable with the deal, or there is no deal. Your home is your largest asset and misconceptions are often the largest hurdle a homeowner will overcome in preparing to sell. Consulting a trusted professional to help you get started will ease your fears and help you make the transition as easy as possible. An agent with the heart of a teacher, and not a salesman will make sure you are not just another MLS number. It is my honor to walk you through the process so you can get settled into your next chapter. For Sale by Sara Van Allen Keller Williams Realty Partners. 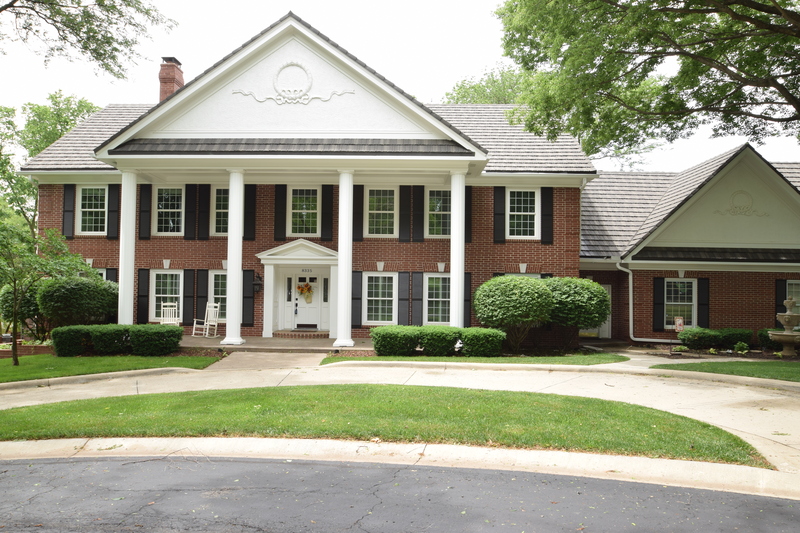 Welcome home to this majestic all brick estate on nearly an acre lot in the tranquil neighborhood of Maplewood in Lenexa. The exquisite upgrades begin with a manicured, cul-de-sac lot with inviting circle drive and side entry garage. The main level is perfect for entertaining with gleaming hardwood floors throughout. The formal living and dining rooms are waiting for your next event. The bright kitchen boasts a large center island, built-in Stainless Steel appliances and walk-in pantry. The 4 season sun porch is accessible from either the family room or the kitchen and is just the place to enjoy a cup of coffee or a glass of wine at the end of the day. Awake each morning behind the double doors of your private Master retreat with vaulted ceilings and full walk-in closet with enough storage for your entire wardrobe and then some. Your newly renovated Master Bath with heated floors, dual vanities, free-standing spa tub, and separate walk-in shower will melt away the stress of the day. Other remarkable extra features in this distinctive 7500sqft home include the convenience of a complete home gym, walk-in cedar closet on the bedroom level, and a private Den on the main floor with fireplace. The full, finished walk-out lower level boasts a large Cherry pub bar with Corian counters, media room, and billiards room with a spacious hobby room or additional office space. New stone covered steel roof with a lifetime guarantee, zoned HVAC, and separate guest quarter access. 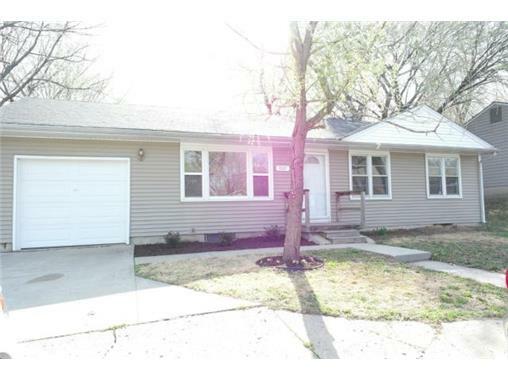 For a private showing contact me at 913-558-2053. 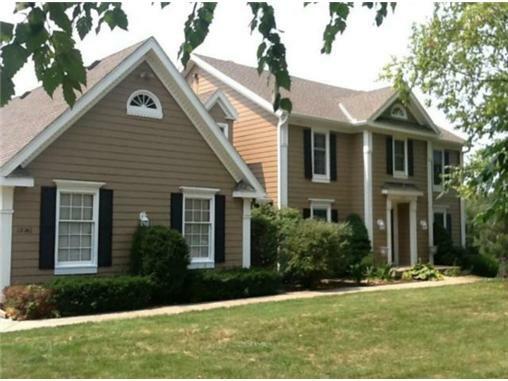 Home is Listed by Sara Van Allen, Keller Williams Realty Partners, Inc.
SOLD April 2014! If you or someone you know is thinking about making a move this year, I would love to show you how I am helping families across Johnson County buy and sell their homes. 913-558-2053 or find me on Facebook at http://www.facebook.com/saravanallenrealtor or visit my website at http://www.saravanallen.kwrealty.com to see more homes like these in your neighborhood. 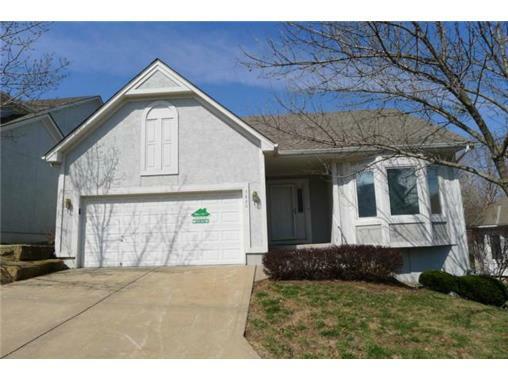 Sold by Sara Van Allen, Keller Williams Realty Partners, Inc. Overland Park, KS. Each Office is Independently Owned and Operated. Let me begin by saying, I am not a child psychologist. I am a Realtor and a mom though. In my experience, both as an agent and as someone that has moved with children, the idea of keeping a house clean while it is on the market and packing for a move can make anyone feel a little anxious. In a nutshell, there is an element of stress when it comes to moving followed by the excitement of a new house. Adults have the ability to weigh pros and cons to wrap their minds around the moving process, children however, are often along for the ride. When we moved, my kids were 4 and 2. Every time we had a showing, I would run through the house throwing toys and dirty dishes where (I hoped) prospective buyers wouldn’t look. In fact, I remember shoving an entire laundry basket in the oven…I panicked. The fact of the matter is keeping your house “show ready” when you have kids is similar to brushing your teeth while eating Oreos, it’s almost impossible. So how do people do it? Just like everything else with children, planning is key. Prior to putting your house on the market, sit your littles down and lay out the entire process. What this means for them, what they can expect along the way, and everything in between. I remember my son asking me what we were bringing with us. It started with him asking about his toys, then his bed, then his lamp, then he asked if we were bringing his door knob! Never underestimate how their little minds work, no fear is too small. So here is a timeline to help plan your move and ways that you can get your kids involved along the way. -Go room by room to de-clutter. I prefer to start at the bottom and work my way up. If you have a basement it is a great place to get the “purge” ball rolling. Some people will rent a dumpster for the week to make tossing a little easier. Don’t worry about cleaning yet, just go through stuff. You can give your kids each their own trash bag to fill or start their own donate pile. Or if you are like me, a trip to the library for some new movies and a bowl of popcorn is an even bigger help. -Donate any items that are in good condition, make sure you get a receipt so you can write off the donation amount from your taxes. This is a great time to teach the kids about gratitude for what they have and how donating old toys or clothes benefit those less fortunate. -Rent a storage unit or a POD to move large furniture pieces, bulky toys, out of season decorations or clothing and any of your “keep” boxes that you will not need in the immediate future. You want your house to flow smoothly so that any potential buyers will notice the features in your home, not your taste in furniture. However, DO NOT move any furniture out the kids’ rooms unless it serves absolutely no function. Keep their spaces comfortable and familiar. As far as everything else, you are moving anyway, why not get a jump on it? -Put away most of the personal photos. In my opinion, DON’T take them all down though, there is something “homey” about seeing a happy family living in the house. -Make sure all projects are done. A good agent will give you a checklist of tasks to accomplish; repair, paint, or pack, etc. -Do a DEEP clean. Back to brushing your teeth while eating Oreos…cleaning with kids in the house is hard. Trust me, it is so much easier if you schedule a cleaning crew to come in and do the heavy lifting for you. After all, it is much easier to keep a house clean then to do the initial deep clean. If you are trying to save money or find cleaning therapeutic, by all means, have at it. In my experience I have found the pros will get it done a lot faster than I could, and it saved me from turning into the raving lunatic that comes with trying to clean a room while my children simultaneously trash it. The day of your deep clean, spend it doing something fun with the kids. Make a day of it, have them come up with a plan for their day out with you. They will appreciate coming home to a clean house after a long day as much as you do. -Your agent will bring in a photographer and a stager. My first tip is to find some place else for the kids to go this day. Second, if your agent shows up with nothing but a camera phone, this is not a good sign. You deserve better. -Make a checklist of any tasks that need to be done prior to showings and who is responsible for what. Depending on their ages, kids can make their beds, pick up toys, run the vacuum. Two important things that get looked over, that you should have on your list: FLUSH the toilets and PUT THE SEATS DOWN. -Request your agent to have at least an hour notice on showings. This is an easy step that agents will add on your home’s MLS listing. This will give you a chance to go through your checklist and prepare your house for a showing. -Clean your trunk. If you find yourself caught in a crunch, you can always pick up a mess and throw it in your trunk and sort it out after your showing. Also, buyers will seldom open your dresser drawers and oven (keep the oven racks at the bottom, remember a small laundry basket will fit), these can serve as “in a pinch” storage if need be. Although everyone opens the closets, find a new hiding spot. -Make a list of activities or places you could go with kids during showings. Frequent trips to Target and the movies can get expensive. Throw in some free ideas too like the playground, park, or a play date with friends. Having a plan will keep your budget in check and keep you from going crazy driving around in circles with kids. -I suggest having families write a Top 10 list about their home and putting it in a 8×10 frame. Ask your kids what they love about your house. Do you have a great play room? Are there lots of families in the neighborhood? What do you love about your school? These are things buyers want to know and their Realtor may not be able to tell them, so why don’t you? -When it comes to the move, give your child their own box. Let them color it and make it their own and them let them pack it themselves. Assure them that this will the be first box that gets unloaded, or pack it in your trunk, to the new house so they can start setting up their space. If your children are older, have them put anything that they don’t want mom and dad or the movers to pack. Give them their privacy. -Pack the things you will need first in boxes with Red packing tape. Toiletries, kitchen needs, towels, and other necessities will be visible in the sea of boxes and help narrow down your search. If you have any other tips to add to this list, let’s hear them! If you or someone you know is thinking about moving this year, I would love to help. In the meantime, I am going to go pull my laundry out of the oven and have an Oreo. Should We Stay or Should We Sell? You may have heard a time or two recently that the housing market is looking pretty good. If you have a home to sell, you may breathe a sigh of relief to hear that the average sales price for the month of February was 9% higher THIS year than last. 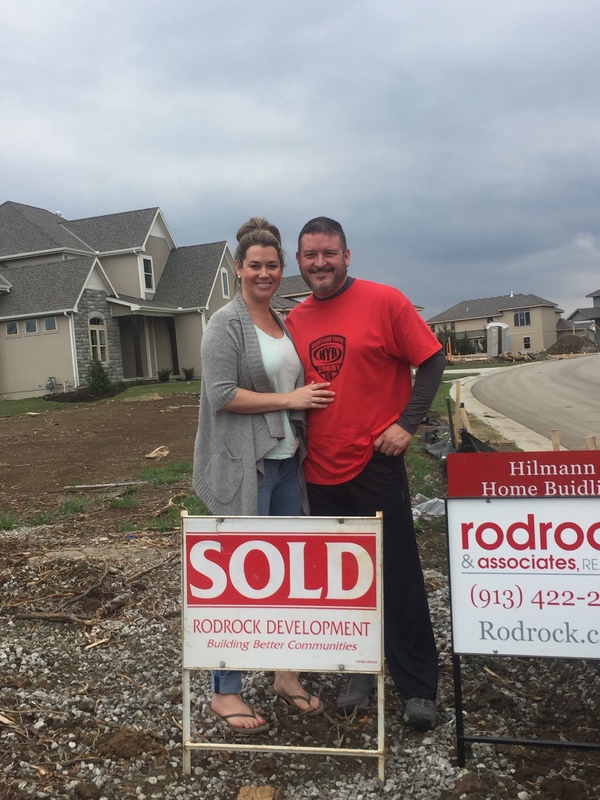 According to Heartland MLS, 68.1% of houses in Johnson County were sold within 90 days in the month of February. On top of solid sales numbers, interest rates are holding steady somewhere around 4.5%. You have heard me talk about “moving up” before, with interest rates staying put (for now) and the home prices on the rise, you have potential to find equity in your new home in addition to the extra space that you have been wanting. So the $300,000 question is…Is NOW the RIGHT time for ME? 1. Do You Have Equity? The price of any item (including residential real estate) is determined by the simple economic theory of ‘supply and demand’. If many people are looking to buy an item and the supply of that item is limited, the price of that item increases. The current inventory in our market is tight. According to the National Association of Realtors (NAR), the supply of homes for sale dramatically increases every summer. Putting your home on the market now instead of waiting for the increased competition of the summer might make a lot of sense. Sellers in some areas are receiving multiple offers and frustrated Buyer’s Agents are clamoring to get the scoop on hot new listings which leaves you in an excellent place to negotiate. 2. Does Your House Still “Fit”? Now that the housing market has stabilized, more and more homeowners are considering moving up to the home they have always dreamed of. Prices are still below those of a few years ago and interest rates are still below 5%. There is no way to predict the future. However, you look at what happened over the last year. Let’s look at buyers that considered moving up last year but decided to wait. Assume they had a home worth $300,000 and were looking at a home for $400,000 (putting 10% down and taking a mortgage of $360,000). By waiting, their house appreciated by 13.8% over the last year (national average based on the Case Shiller Pricing Index). Their home would now be worth $341,400. But, the $400,000 home would now be worth $455,200 (requiring a mortgage of $409,680). So back to the question of, does it fit? If you feel the walls closing in or if you are ready to downsize, sooner rather than later is the way to go, wouldn’t you say? 3. Is When to Move a Factor? Summer is one of the most common times to move for one BIG reason. Sure most people would rather move in sunshine than in -10 and snow, but the most common reason given is that the Summer months are the least disruptive for schedules. The kids are out of school, most people will schedule a vacation (or 2) over the summer months, so why not? For those with children, if a move involves a change in schools it is easiest to begin when everyone else is also returning. If you have a pretty flexible schedule and schools are not a priority, the lower inventory of the Fall or Winter seasons may net you more proceeds if you are still working toward building equity. When you are ready to list with me, I would be happy to provide you with a Custom Home Analysis to answer any questions you have as to whether the timing is just right. I will give you a little hint…in my professional opinion. If you even have a thought about selling right now, you should really entertain the idea. I’m here to help you through every step of the way! Sara Van Allen is a Licensed Realtor in the state of Kansas with Keller Williams Realty Partners, Inc. Each Office is Independently Owned and Operated. In this ever changing world of real estate, things will sometimes open up a brilliant opportunity that may not be available tomorrow. Today’s lucky penny is the opportunity to “Move Up”, or in other words, sell their current home and move into something bigger. As you can see here, our average prices are lower as are the interest rates. Wouldn’t it be fantastic to buy a bigger home for less money and a lower interest rate now, and then find extra equity next year when the average home price goes up? Food for thought…. If you are thinking about making this market work for you, call me, 913-558-2053. Or follow me on Facebook at http://www.facebook.com/saravanallenrealtor or Twitter @SaraVAHomes.